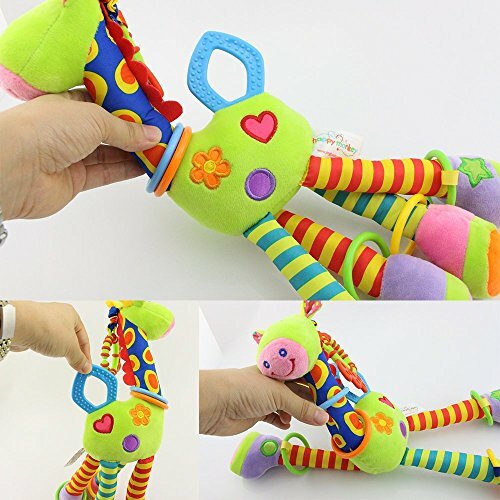 The neck and legs are skinny enough for tiny hands to grip, nice for practicing fingers control. Give it as a special gift for baby birthday parties or Christmas gatherings. 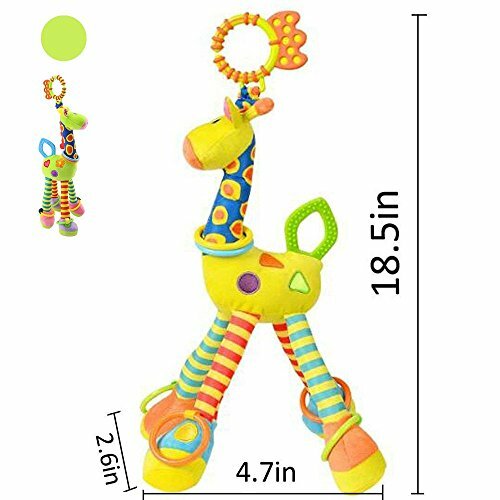 This infant plush giraffe is recommend for new parents. Please remove the plastic bag before use. 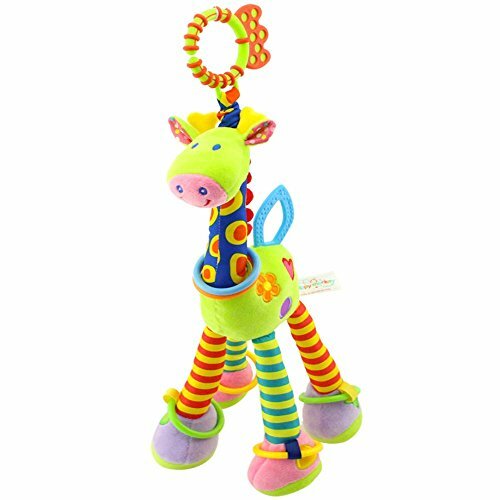 ◆ [Pure Material] – Made of non-toxic, BPA-free and Natural materials, Surpass the baby toy safety standard , soft and comfortable. 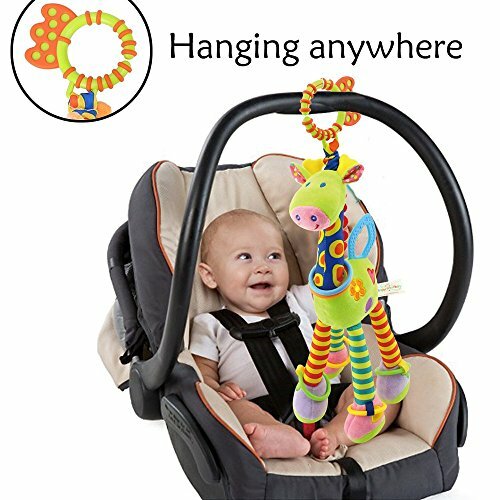 ◆ [Hangable Design] – Convenience clip is easy to attach almost to everything, use it as a toy for car seat, baby stroller toy or play gym toys. 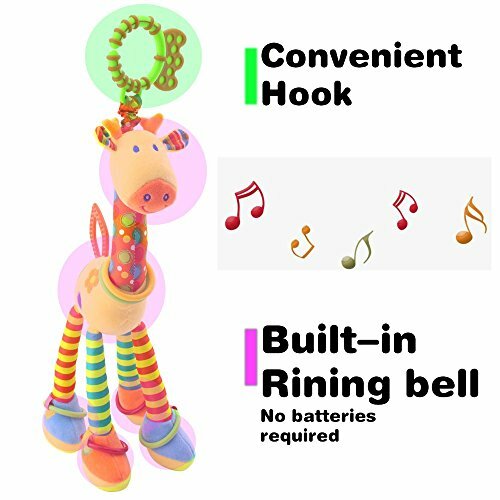 ◆ [Fantastic Sound] – The built-in ringing bell will make soft sound when pinch the toy’s body to attract baby’s attention. 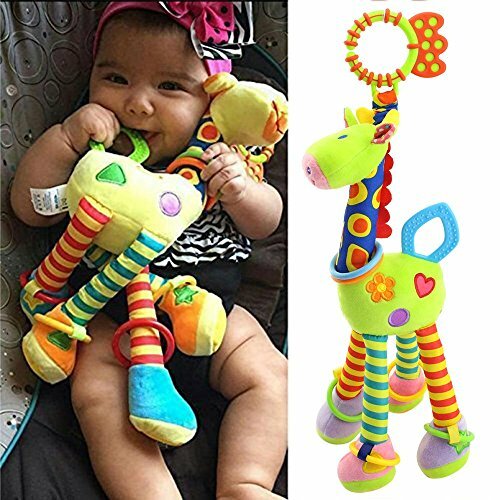 ◆ [Perfect Gift] – Soft touch and lovely appearance will make the baby love this plush toy, and parents will appreciate for such a thoughtful and engaging gift.